Today we published continuation of the first visit of Abraham in Poland in 2014. Do you remember last year's blog by Abraham who rediscovered his family after 67 years? You can read it here: http://blog.polishorigins.com/2015/04/15/looking-for-great-grandpa-ludwik/. In the following year (2015) he returned and this time took his mom. They had family reunion in the old family house in Poland and... discovered more family on their paternal Jurkiewicz side in the distant Lithuania! "(...) Jurkiewicz Family legend has it that at the end of the 14th century, when Poland and Lithuania formed the most expansive kingdom in Europe, Prince Witold granted the Jurkiewicz family 20 hectares of land to resettle from southern Poland to Lithuania. 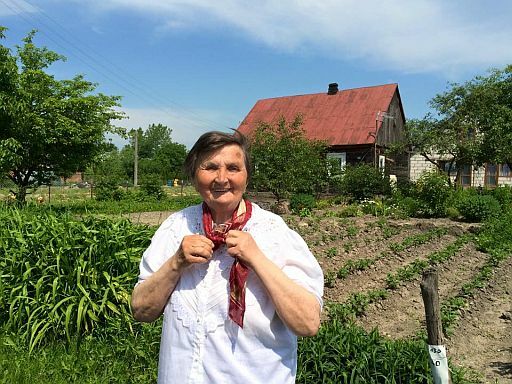 The family were peasant farmers but they prospered on the land for hundreds of years in Pakalniszki and other villages in Kiernów parish. By 1895, there were 43 Jurkiewicz family members in four of the seven houses that sat huddled together in a shady area by their farming field.(...)"